for (being on) the Path. The Sufi is of the River, not of time, for ‘with God is neither morn nor eve’: there the past and the future and time without beginning and time without end do not existed … He (the Sufi) is son of that ‘moment’ by which is to be understood only a denial of the divisions of times, just as ‘God is One’ is to be understood only as a denial of duality, not as a description of the true nature of Unity. 1) Either one can be creative and create something - creativity being a Divine Quality, it is a holy participation in co-creation with the Divine. There are Divine qualities that human being share when he is creative. Such qualities of God are al-Khaliq: The Creator, the Planner; al-Musawwir: The Fashioner, The Bestower of Forms; az-Zahir: One Who make thing manifest. When one is engaged on meaningful creation, when one create something which bring joy unto others be it a work of art or a beautiful piece of music - one is doing justice to one's existence. 2) One can be engaged in the moment at service or attend to one's responsibility. Life by design throw us many responsibilities. From managing our finance to taking care of our sub-ordinates, responsibilities at workplace, taking care of family and so on and so forth. The moment we come out of our childhood (which is the only time we are free from the bond of responsibility) we are given responsibilities to attend to. Many responsibilities may seem to be of worldly nature (from purely spiritual perspective, but hey, what is spirituality and what is not, you may ask! ), but they are extremely important in our journey or passage of life because they all offer us something to learn from, and to know ourselves better through participation. In the Last Testament its mentioned again and again that God loves those who are careful to their duties including the duty to our own selves. It doesn't say what kind of duty because truly there are no distinctions between responsibilities / duties. Thats why from Islamic perspective, any responsibility is seen as a sacred trust - be it taking care of children or safe keeping someone else's stuff. Everything that one engage and participate is sacred trust, including one's life because they are all given by the Sole Giver for an appointed time and all must return to Him at the end. 3) One can try to attain nearness to God through contemplation, silence, prayer and / meditation. While the first and second mode is in the arena of doing - the third is ideally in the arena of non-doing, and more of being. From one perspective it also need deliberate will power in the beginning to be in prayer and contemplation or even to intend to be still. 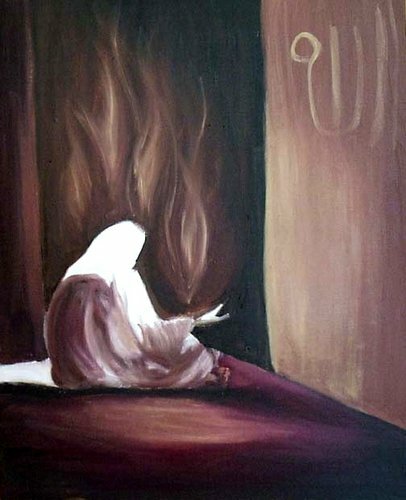 Every time we enter into prayer, meditation in heart-centeredness - our spirit advances - so in that sense, some sufis call it walking, walking of the spirit towards divine proximity. But one this is needful; and Mary hath chosen that good part, which shall not be taken away from her." In the context of this saying of Christ, Mary, was sitting at the feet of the noble teacher, Christ, and had chosen the "one thing needful," to be present, to be aware and she has chosen at that moment, contemplation over action. Apart from these three modes: creative, service and stillness, there is of course another by default mode, which is being in ghaflat or being in forgetfulness. Forgetfulness of what? 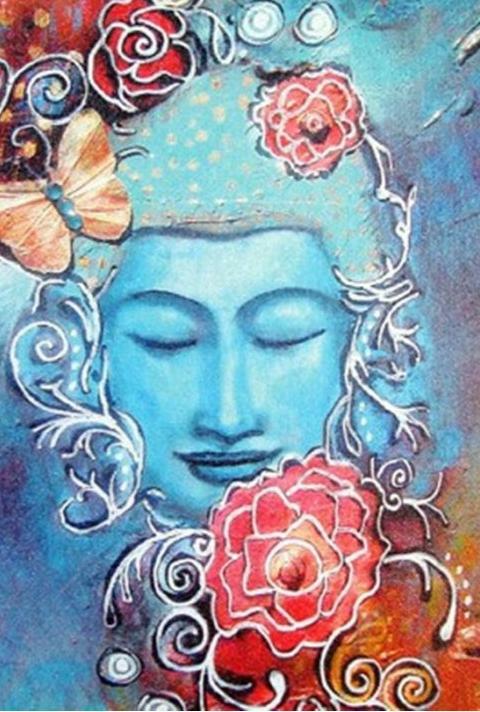 Forgetfulness of our own self, forgetfulness of the Divine. It is by default because if we are not in awareness, not attentive - then we go back into this slumber of forgetfulness about who we are, why we are here and what is Real. There is a great mystery revealed: the mystery of how our being forgetful of God automatically makes us forgetful of who we are, make us forget our realness. There is this strange amnesia paradox where the forgetfulness of our own being is directly related to forgetfulness of the Divine. For the advanced sufis, there is only one sin, only one error that the soul can commit - and that error / mistake / fall is forgetfulness. and sin when he is not. The breath in which we forget God is a waste, the breath in which we are mindful of God is a breath well spent. And if you look out into the world, if you look to the people of the world (and also if you look at yourself, if we look at ourselves) we can see how much we are constantly living in forgetfulness. A lover of God once said, "Sometime at the end of a day I suddenly remember how I've spent the whole day without remembering Him. How remorseful my heart becomes - because I haven't remembered the Beloved and the whole day is gone." We say, "tawba astaghfirullah", 'we turn (to The Center) and ask (His) forgiveness' for every occurrence of forgetfulness. Just as when human lovers when they are freshly in love, they constantly remember each other, ceaselessly they speak to each other (for real or in their mind), constantly picks up the phone and simply want to be connected, wants to know how the beloved is doing in every moment - for the sufis the whole point of remembrance can be understood by that symptoms of human lover when they are newly in love. When one is in love, the heart wishes only one thing, that is to remember the beloved - exactly in the same way, sufis remember God in every moment because of their love for God. Remembrance is the sure sign of love and its only more true in Divine Remembrance in response to Divine Love. When the heart loves someone, the heart remembers. Its universal. Same applies for the human heart. Even the heart can be pregnant with divine love through remembrance. So this is a two way road. For some - the love affair happens first, then one continue to remember. And by remembrance, the love deepens. Again, through remembrance, the love also come into the heart because remembrance and love two being function of the heart, have direct relationship. So the sufis speak much about remembrance and sufi teachers in the beginning, in the middle and in the end of the Path, give their student the practice of remembrance so that the soul can be pregnant with Divine Love. In the revelation thus we also find, the divine Beloved calls us, "remember Me and I will remember you." in other places It says, "remember much". A Sufi tries his or her best not to waste my moment in which he or she is not remembering God. So for example when he walks down the street or wait in a traffic jam, if you are close to his heart, you will hear that its beating with His Name, 'Allah', 'Allah', 'Allah'. Its as if his soul is constantly whispering to the Only Beloved, "O Beloved I remember You! Hear how Your Name is upon my lips, Look how Your Name is etched upon my heart and See how my soul longs for You!" Allah! Allah! Ya Allah! All of the three modes are needed in life. Instead of heedlessness, a true seeker uses his moments and breath wisely. "O you who believe, keep your duty to GOD, and let every soul consider that which it sends forth for the morrow, and keep your duty to GOD. Surely GOD is Aware of what you do." [59:18] A true seeker is also mindful of his or her death, certain about the death that must and will come to each one of us. And a seeker know very well that a new reality awaits beyond death and death is just a stepping stone to a new reality. And since the seeker is mindful of death and doesn't delude himself or herself about this reality by denying or by being forgetful about it, it only gives the seeker more reason to be mindful of each moment. For sufis, death is something not to shun or not something to forget. For a true sufi, death, being the polar opposite of life, is exactly necessary as a reminder that life is precious, as a reminder to practice Carpe Diem! to seize the day and Carpe Momentum! seize every moment. To say YES to Beloved in everything that comes from Him. And life being so precious one either engage in creation, in creativity, or do good to other, be in service or attend to one's responsibilities no matter how little or large they might be and thirdly to constantly strive towards Gnosis, towards knowing one's self and towards the intimacy of God.